Dear Garmin, Singapore is not in Pengerang nor Johore Bharu; Garmin Connect Response! While I appreciate the auto naming of the file, it should be noted that Singapore is somehow missing from garmin connect and I note with amusement that the population of Johore Baru is smaller than the population of Singapore. Just hope that you will fix this problem soon or people might associate Singapore with Johore, or are we too small to be included in your database ? This entry was posted in Rants and tagged Garmin connect, Rant, Timezone update. Bookmark the permalink. 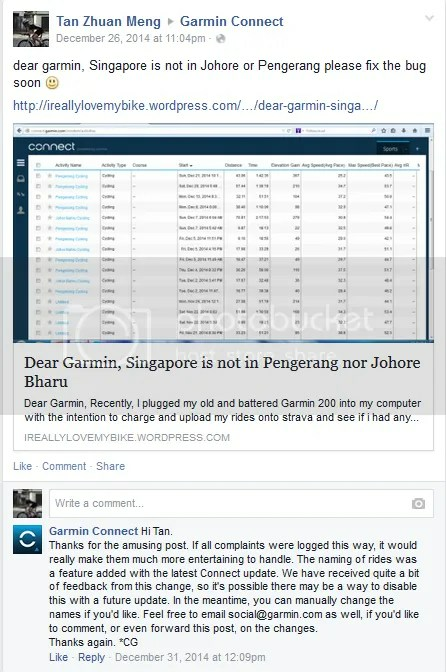 3 Responses to Dear Garmin, Singapore is not in Pengerang nor Johore Bharu; Garmin Connect Response! -Same here . I first thought my Garmin device or account was compromised. ( I changed password, disabled Bluetooth during ride but didn’t help ). -The other piece is that, after the latest upgrade I’m seeing 3 different speed values display continuously , just like a 2 to 3 seconds slide show. I don’t quite understand why my speed is showing different values sometimes. 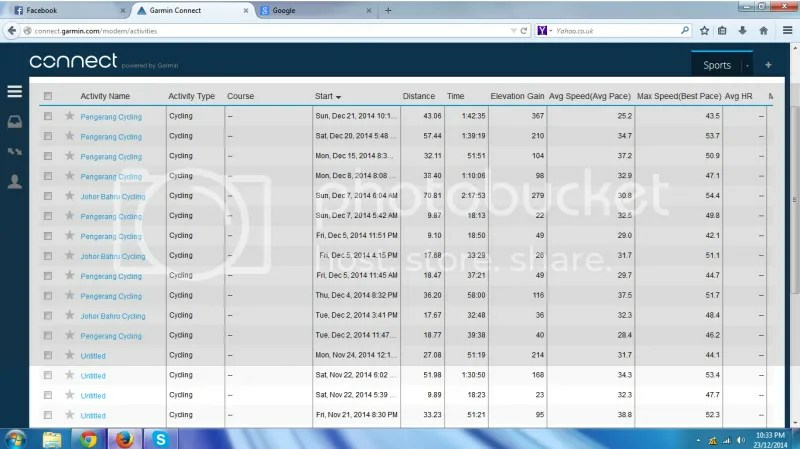 – Due to increase in sharing of new info, I would also like to know how Garmin share user personal information with others. Garmin has updated from “Pengerang Cycling” to “Pasir Gudang Cycling”. What the hell is that ? I don’t even know the meaning of it ( except the word cycling). They’re acknowledging the error and maybe… might just refine it. You guys can contribute here.